Imagine it, and you can build it! 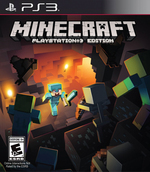 The critically acclaimed Minecraft comes to PlayStation®3 system. 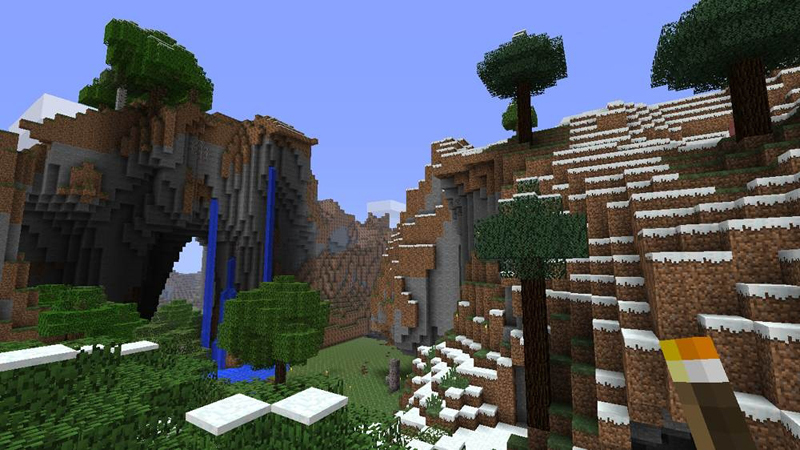 Create your very own game world and explore, build and conquer. When night falls the monsters appear, so ensure you’ve made yourself a shelter before they arrive. Make it through the night and the world is only limited by your imagination you choose what you want to make or what to do. Play on your own, cooperatively with friends in 2 player and 4 player split screen modes, or online with up to 8 players. Split screen option requires HD TV with HD connection. We’ve all spent a lot of time playing games where the goal is to kill things and break stuff down. It’s nice to finally play a game about building something up. Turning a pristine landscape into grand palaces and irrigation systems using your own two hands while things try to kill you isn’t just an amazingly rewarding gaming experience, it’s a clever retelling of human history. In a way, this is what we’re all instinctively driven to do, and Minecraft captures it brilliantly. A communal imaginarium, a cultural phenomenon, and an epic social experiment; Minecraft is all of these things and more, but it’s also a superb example of gaming’s ability to ignite and inspire our fascination with creation. 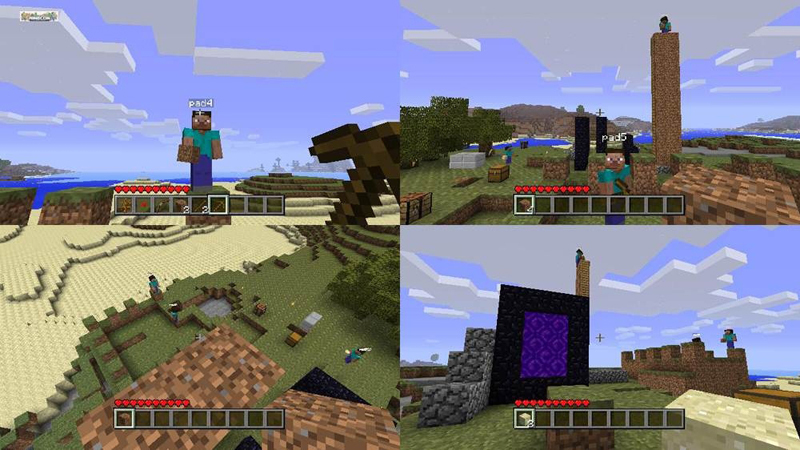 Minecraft: PlayStation 3 Edition is a joyous adventure, despite being lighter on content than its other iterations. It offers the freedom to unlock your imagination and design your own unique world, while the included Creative mode lets you build to your heart's content without having to worry about the limitations of resources. 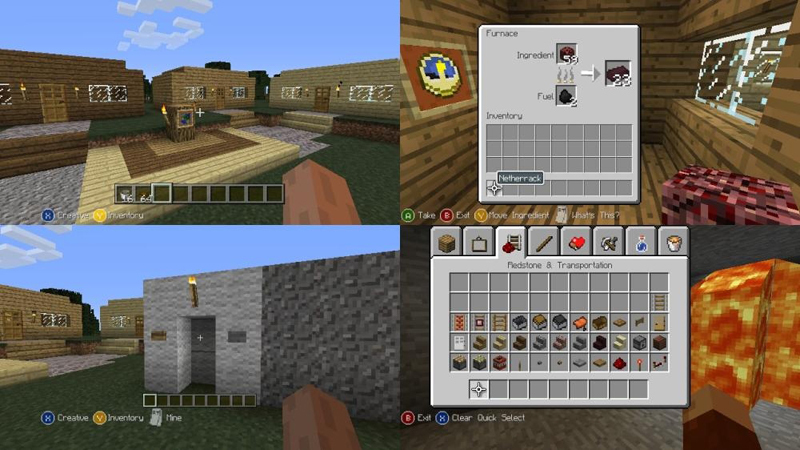 Though the smaller world may irk you, Minecraft on the PlayStation 3 supplements the design with a more user-friendly approach, straightforward crafting, and a much easier way to connect to friends via the PlayStation Network. Minecraft's arrival on the PS3 is exactly what you may have expected, as this is still the same addictive, quirky, and humorous title that's been available on the PC for years. It's easy to see why it's proved such a commercial juggernaut on other platforms, but that still doesn't mean that its graphical style and steady gameplay will appeal to everyone. If you can dig your way beyond the occasional bouts of boredom, however, be prepared to dig very deep indeed. Cada cierto tiempo aparecen títulos que marcan de forma notoria a la industria del videojuego, y tenemos muy claro que Minecraft es uno de los elegidos. Es verdad que esta adaptación a consolas está lejos del alcance y las enormes posibilidades de juego del original; pero también es cierto que son muy pocos los títulos capaces de hacerle sombra cuando se trata de divertir. Y para nosotros, eso es lo que importa. Por eso, si no podéis haceros con el original en PC, ni lo dudéis: Minecraft no decepciona. Immerhin hat sich die 360-Ausgabe seit ihrem Erscheinen mächtig entwickelt: Sie ist heute ein deutlich umfangreicheres und besseres Spiel und die ebenbürtige PS3-Version profitiert von dieser Entwicklung. 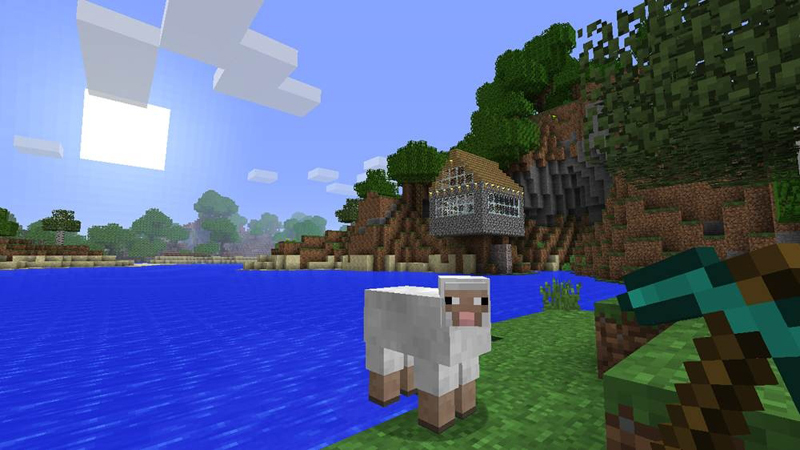 Es ist schade, dass die Welt nicht unendlich groß ist – inhaltlich ist Minecraft auf Konsole allerdings heute schon weiter als es das PC-Original zu seiner offiziellen Veröffentlichung vor knapp drei Jahren war. Mir bleibt daher nur eins: Viel Spaß mit diesem großartigen Zeitfresser! É talvez o maior exemplo do que de bom pode brotar dos jogos independentes, o seu potencial é tão abrangente, que podemos ver várias aplicações para o jogo, nomeadamente com fins educativos, por estimular a imaginação dos mais jovens, e estar circunscrito num ambiente de regras lógicas, com o qual se pode facilmente aprender. É um dos melhores de sempre, e que deve ser experimentado por todos. Minecraft resta quindi molto ricco di contenuti e di possibilità anche su PS3, sebbene al primo impatto non si direbbe. Più di un giocatore, sottoscritto compreso, ha dato una riluttante chance al titolo di Mojang ritrovandosi ad apprezzarlo a dispetto delle previsioni. Se siete giocatori dell'edizione PC non troverete alcun motivo per passare a questa versione, che metterebbe solo una briglia al vostro estro. Minecraft è un gioco incredibile, a prescindere dalla piattaforma su cui si trova. Questa versione PS3 è praticamente identica a quella Xbox 360, con la quale condivide il pregio di un'interfaccia comoda e accessibile e il difetto delle dimensioni del mondo di gioco, infinitamente più piccole di quelle su PC. Se avete già giocato a Minecraft su PC, l'unico appeal di questa conversione è lo split-screen, che crea una divertente dimensione multiplayer diversa da quella originale. De toegankelijkheid van deze consoleversie doet niks af aan de diepgang van de game. Er zijn nog steeds tientallen grondstoffen, honderden objecten om in elkaar te knutselen en enorm veel geheime manieren om voorwerpen te gebruiken. Je bouwt nog steeds gigantische kastelen met werkende valstrikken, transporteersystemen en elektronische circuits. De enige beperkingen zijn je verbeeldingskracht en in mindere mate de omvang van de spelwereld. Desalniettemin is Minecraft voor de PlayStation 3 een game die zijn kwaliteit durft te tonen. De game werkt soepel en de zowel de besturing als de menu’s zijn heel goed afgestemd om te worden bestuurd met de Dualshock controller. Hoewel nog niet alle content ook op de PlayStation 3 beschikbaar is, werkt hetgeen dat wel aanwezig is heel goed. Online gamen gaat snel en de aanwezigheid van splitscreen co-op maakt het feest compleet. 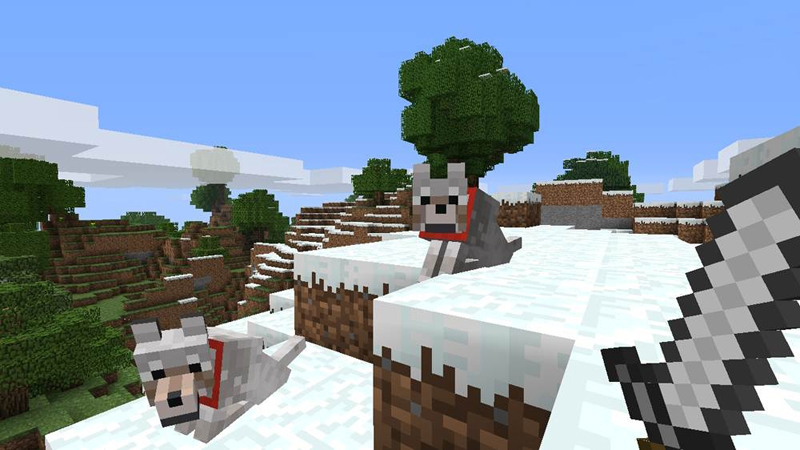 Minecraft: PlayStation 3 Edition mag zichzelf als waardig lid van de Sony-familie bestempelen.